Democratic system must be practised in line with the law, and nothing can be done beyond the law. 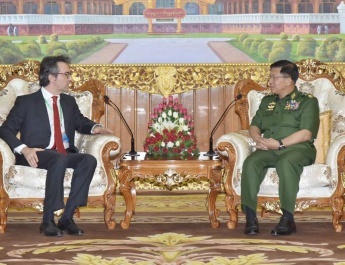 The Tatmadaw is just participating due to the situations of security, peace, stability and politics to ensure that the democracy path we are pursuing will not sway. 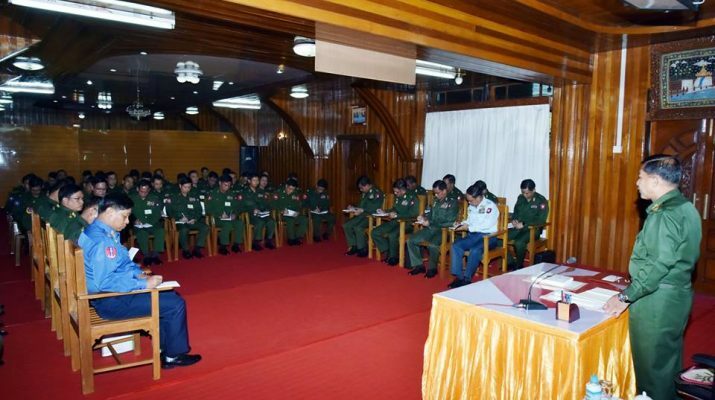 Our duties must be in accord with the law and we must act in line with the law, said Commander-in-Chief of Defence Service Senior General Min Aung Hlaing in meeting with the officer trainees of the senior officers’ law diploma course at Yang Gyi Aung Hall of Defence Services Administration School in Pyin Oo Lwin Station this morning. 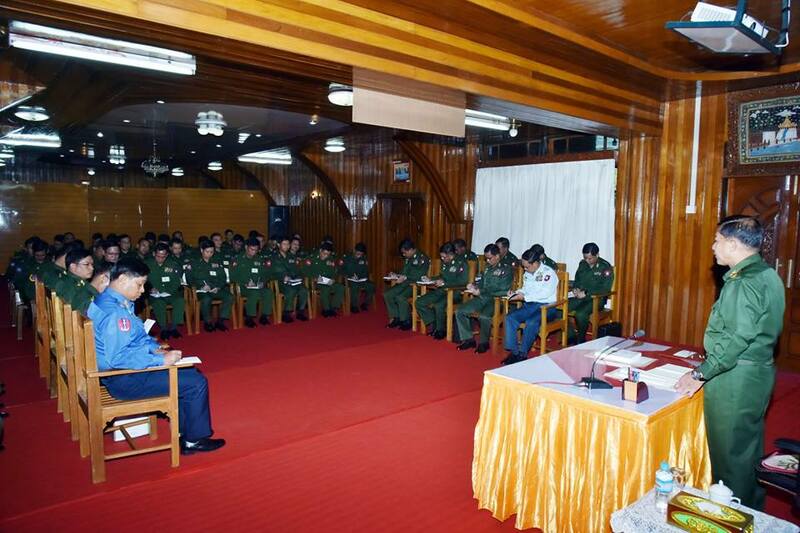 Also present were Commander-in-Chief (Navy) Admiral Tin Aung San, Commander-in-Chief (Air) General Khin Aung Myint, senior military officers of the Office of the Commander-in-Chief (Army), the commander of Central Command, the commandant and officer trainees. First, the Senior General said Tatmadawmen have to follow both military and civilian laws. Commandants have administrative, judicial and financial powers. As a law is the system of prescribed rules, those entrusted with judicial power must be familiar with the laws and pass correct judgments. Therefore, those who are responsible for judicial affairs have been chosen to attend the course. They need to work hard on their lessons, the Senior General added. Speaking about a law, there are formulation, drafting, enactment and law enforcement. Legislation is meant for entire country and there is therefore a need for entire country to abide by. There are also some laws enacted for specific purposes. Therefore, there must be sound reasons to formulate and enact a specific law. A piece of legislation should not be amended frequently, but suitability for amendment, reasonableness and definition should be taken into consideration. Legality means Tatmadawmen have to abide by code of conduct for service personnel and regulations of defence services as well as Geneva Convention. The Constitution provides check and balance, but not intervention between executive, legislative and judical branches. Those who take responsibility for administration should have knowledge about legal and judicial affairs. Training schools teach legal lessons to help service personnel possess legal knowledge. Service personnel must therefore understand legislation, responsibility to abide by legislation and legality of their actions. He urged them to try to abide by law and also ensure their subordinates abide by law. 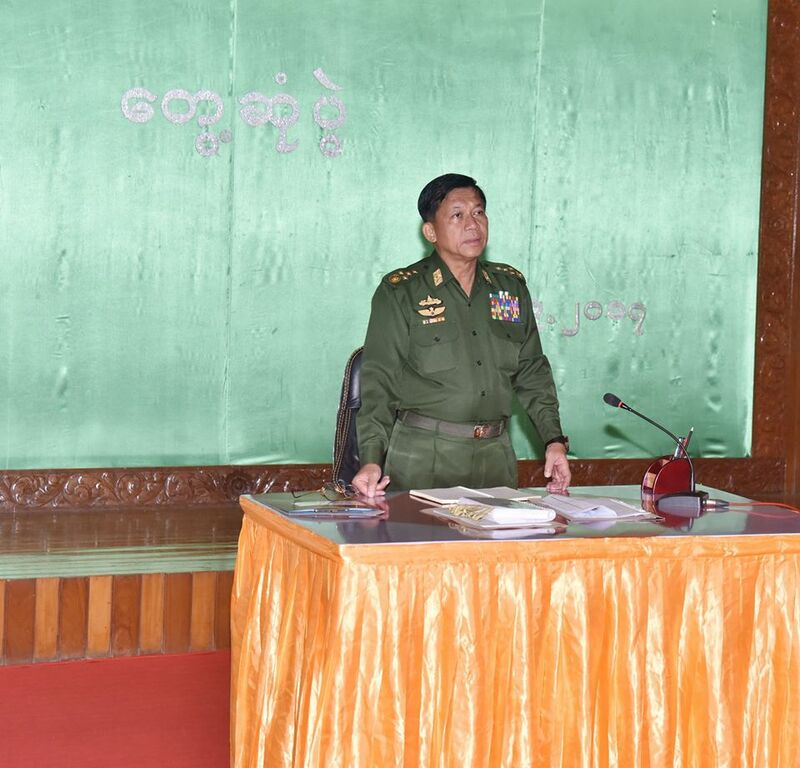 About Rakhine issue, he said there were 93 clashes in the violence of extremist Bengalis that started to break out on August 25. The violence was an organized attempt of extremist Bengalis in Rakhine State to build a stronghold in Buthidaung and Maungtaw. They have demanded recognition as Rohingya, which has never been an ethnic group in Myanmar. Bengali issue is a national cause and we need to be united in establishing the truth. All the Myanmar citizens should have unity with their love for the country, and there is also a need for media to get united. 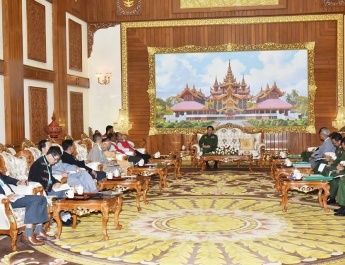 Those in Tatmadaw have to strive for development of their institution, and likewise, every Myanmar citizen must join hands and strive for development of their country. Myanmar citizens just can’t rely on foreign organizations, but have to be aware of possible covered-up links. 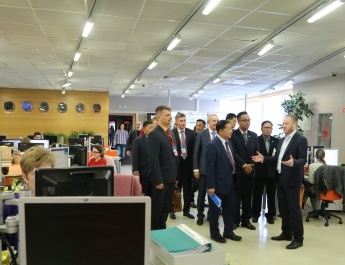 Local ethnic people have to try for development of their own region. 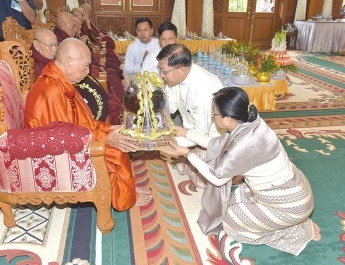 All the local ethnic people have to take a major part in rehabilitation of Rakhine State. 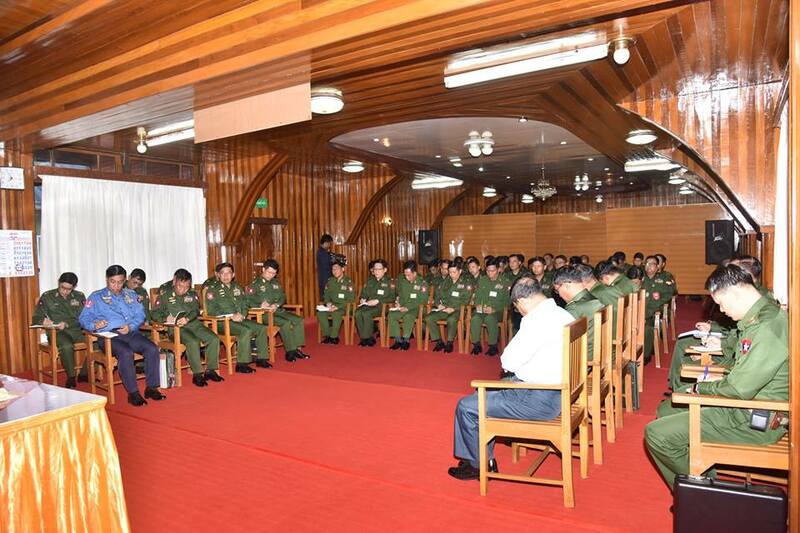 And Tatmadaw have to assist them including their security, the Senior General said. The 6-month training is being attended by 21 trainees in the ranks of colonel and brigadier-general. Diploma in law will be conferred upon completion of training.